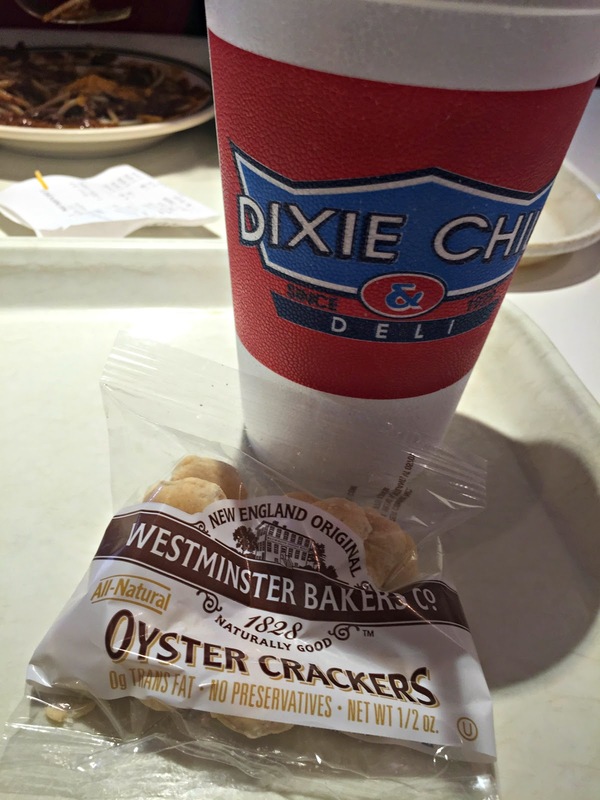 Restaurant Review: Dixie Chili - Newport KY | The Food Hussy! 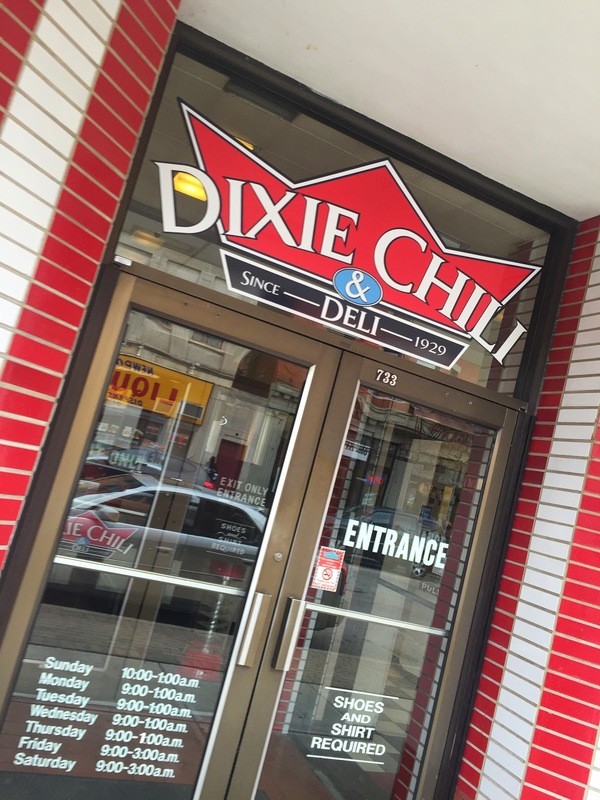 And there was Dixie Chili - right there to rescue us. We went to the Newport location on Monmouth. I love restaurants in Newport because Monmouth has free parking!!! This Dixie Chili location has a line like you'd see at Ponderosa. You go up and order - grab a tray and get your order. It felt a little old school and fun. The crackers were a little disappointing - a package of some New England brand? Wha??? I got my standard order - 3 way and a cheese coney. 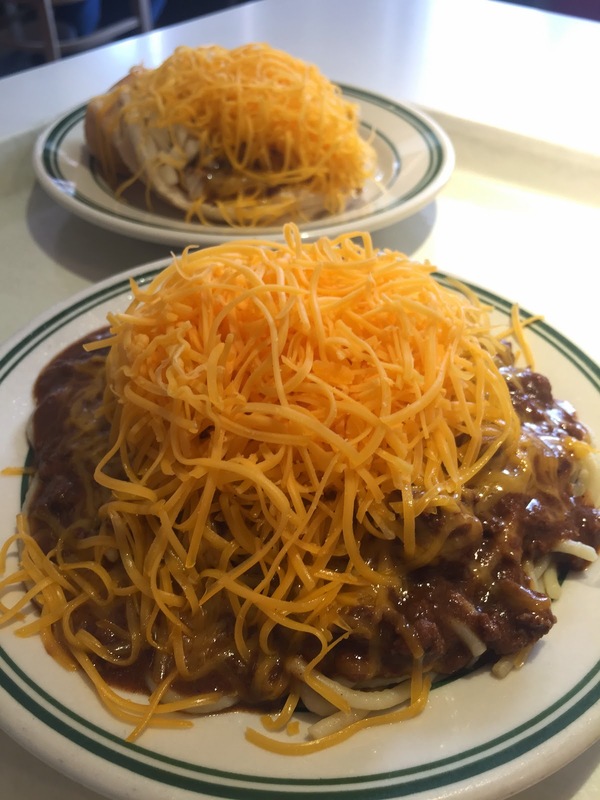 The portions are big & the chili is chunkier than Gold Star & Skyline. Unfortunately we both felt like it was much more bland than the big 2. 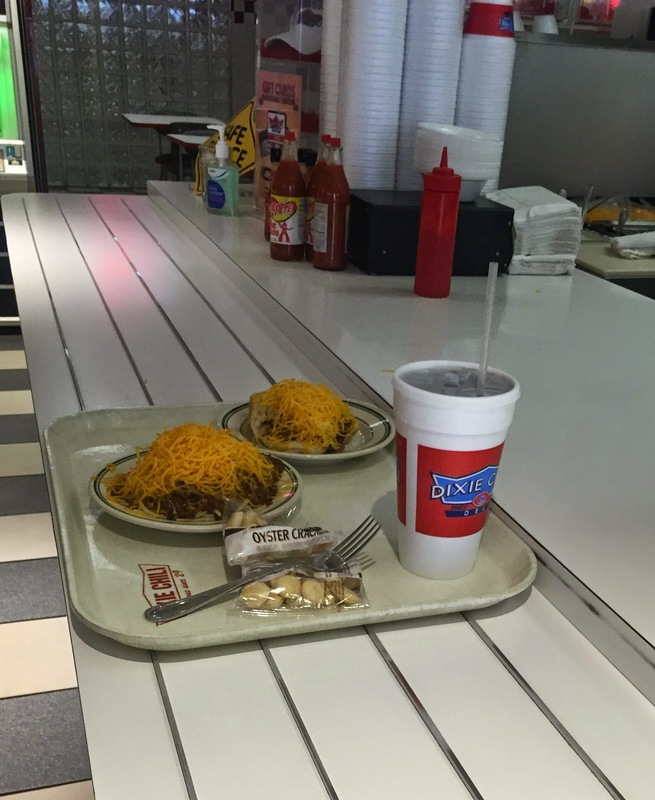 There just wasn't that little kick that goes along with Cincinnati chili. Why Should You Go? Well they have other things on the menu - like gyros and salads - so maybe to try those? But for me - I'll stick with Gold Star! Service was quick and friendly though and free parking!